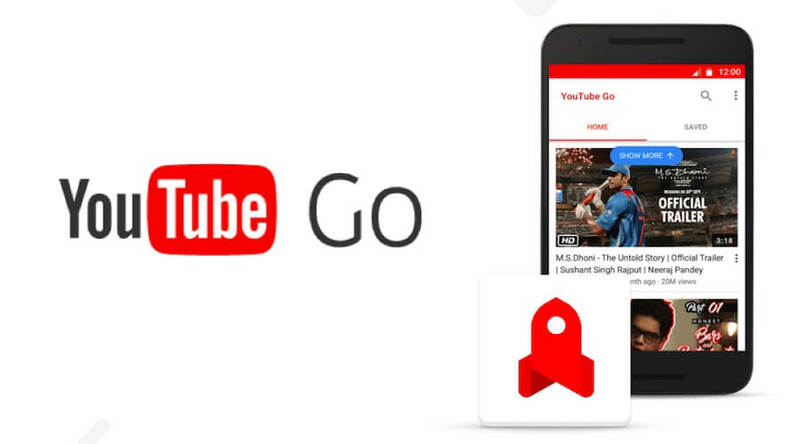 After its announcement in September 2016, Google has finally come out with beta version of YouTube Go app across android platform. The app is believed to be the lighter version of its parent app “YouTube” which aims to give the users more control and give a never-seen-before offline experience. In fact the app is specifically designed keeping India in mind where a quality surfing speed is an issue. It promises to work in areas where network connectivity is not so good. This launch is all set to boost the Mukesh Ambani led Jio’s campaign as the analysts have seen an immense upward rise in the video data usage in last six months. Unlike other companies which often bring a rather “stripped down” version of their existing applications to accommodate Indian users, YouTube Go will give its users the same experience as before along with the added features. The latest design has an easy user interface along with the information in advance on how much data is going to be spent on streaming or saving videos. A user can also choose to save video for offline viewing at a later time. Additionally, a user can also see a slight preview of the video on tapping the thumbnail giving the user a sense of information regarding what the video is about. Moreover, the app provides a fresh and more relevant video recommendation as compared to the existing application. It is designed to give trending videos in your area rather than what is trending on YouTube as a whole. The ability to share the videos you wish to with your nearby friends is another cool feature of YouTube Go as it gives the functionality to share without using any data. All one needs is a Wi-Fi direct and switching on Bluetooth to locate nearby friend. One can even choose the resolution when streaming or saving videos. It will allow the users to choose the amount of data they wish to spend on a particular video. After long months of waiting and thorough testing, YouTube Go is expected to drive Google’s revenue to newer heights. It is being rolled out in various languages like English, Hindi, Kannada, Tamil, Marathi, Bengali, Gujarati and Malayalam languages. Google has also planned some events in Udaipur to get more insights from users about the app in the upcoming weeks. As their tag line suggests, “Mazze Udaao, Data Nahin” YouTube Go aims to maximize your fun without burning up the data.